Many faults in electrical systems are extremely hard to find, sometimes not being visible until damage has already occurred. In order to ensure that these faults are found and fixed quickly and safely, thermographic testing is highly recommended. Thermographic testing is a non-obtrusive and preventive measure, designed to detect unseen electrical faults before they happen. This is accomplished by pointing an infrared camera at switchboards and control circuits; checking the temperature of the board, relative to the ambient temperature of the room. This is used to identify hotspots on the board which can be then used to identify and schedule a time to fix the problem, at a time suitable to you. What do these hotspots mean? These hotspots are components that are relatively hotter than the other components on the board. This can identify a number of things, these include but are not limited to. Any of these examples can be a serious problem if left unfixed, by being able to detect these before they become a serious problem, it is possible to delay the repair until a suitable time is available. 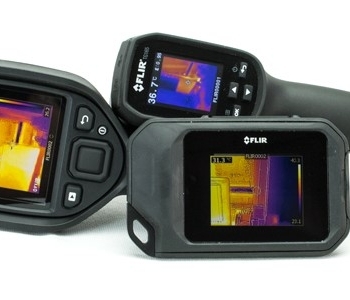 Thermographic testing ensures that any, non-visible issues are located and fixed early. If testing is not done then there is a serious risk of these issues causing major damage, some of these damages include. To ensure electrical safety, it is recommended thermal testing is to be carried out annually. If you have any more questions or would like to book your business to be tested, please contact Precise Electrical (92971915).